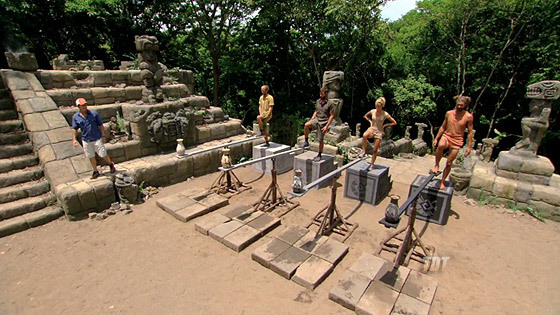 Ep.14: "Seems Like a No-Brainer"
Our season-long awards finally go out to recognize... Redemption Island, Boston Rob, and... other things. Ep.13: "Too Close for Comfort"
In which a pitched battle erupts, as two challenges fight for the title of "Lamest Puzzle Ever." Who will win? 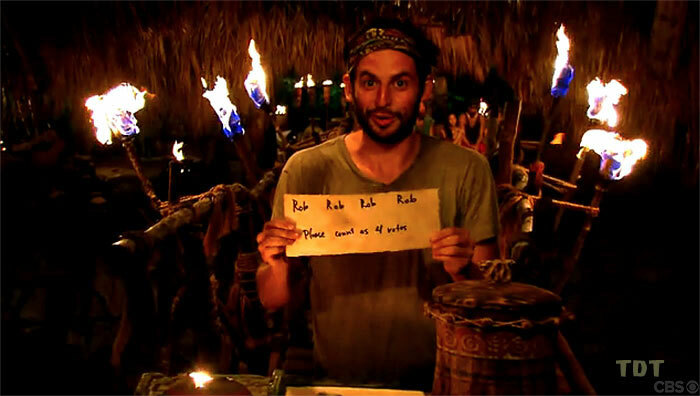 Ep.12: "You Mangled My Nets"
This week it's all Probst and Boston Rob. 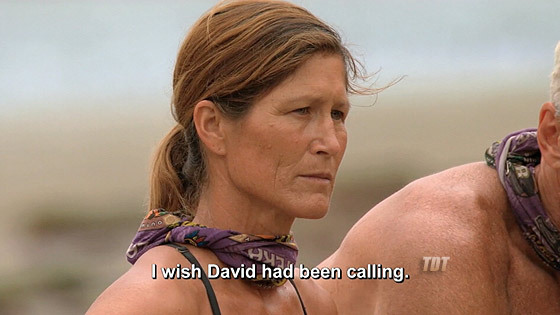 Probst and Boston Rob. Maybe a little something for Grant? Whatever. As the RI backlog builds up and the active players dwindle... sure, we can give an award to Natalie. Why not? 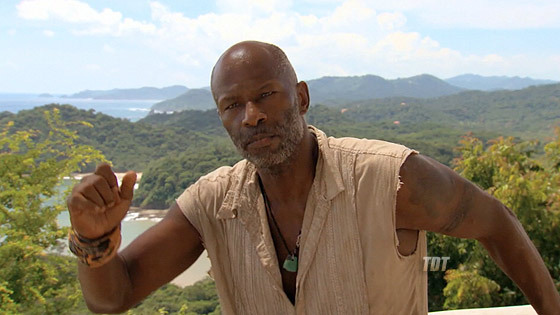 Obviously Phillip receives a lot of attention here, but don't count out that wily Jeff Probst. 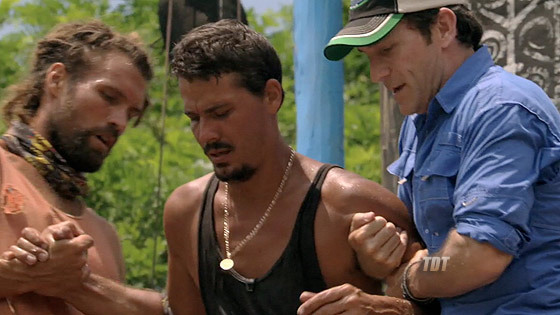 As we speed through some Zapatera departures, Phillip takes an award, but we have to at least acknowledge David's effort. Ep.8: "The Game Respects Big Moves"
The game may. The host certainly does. But the guy running the game won't... not if they're against him, anyway. Ep.7: "It Don't Take a Smart One"
Apparently all it takes for Boston Rob to leap back into screen hogging is to keep mentioning Phillip. Duly noted. 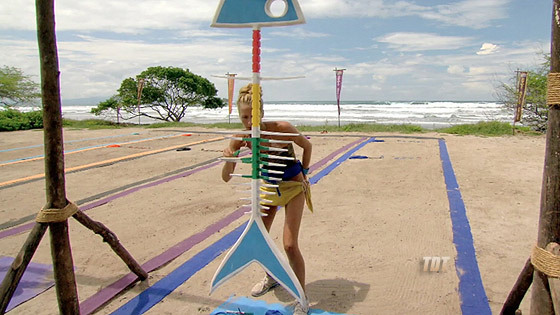 Not even halfway into the season, and one contestant has pretty much run away with the Trolly award already. Guess who? 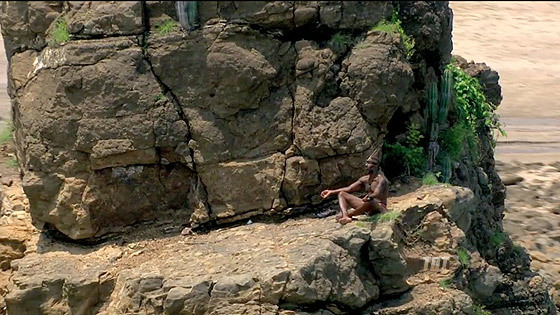 Ep.5: "We Hate Our Tribe"
Not to worry, Redemption Island-ers. By the end of this, everyone will hate both of your tribes. Ep.4: "Don't You Work for Me?" 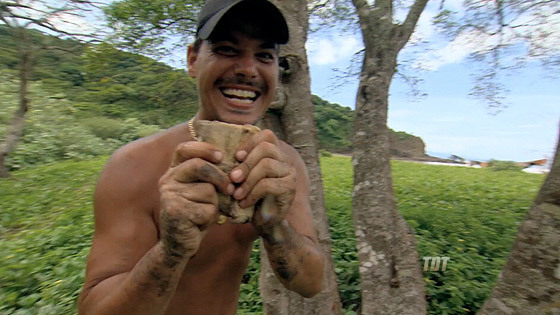 As one returnee burns his buff (hooray! ), another concocts an elaborate idol-hunt camouflaging scheme. Also hooray. If this season is now in danger of peaking too early with this momentous occasion... we're okay with that. 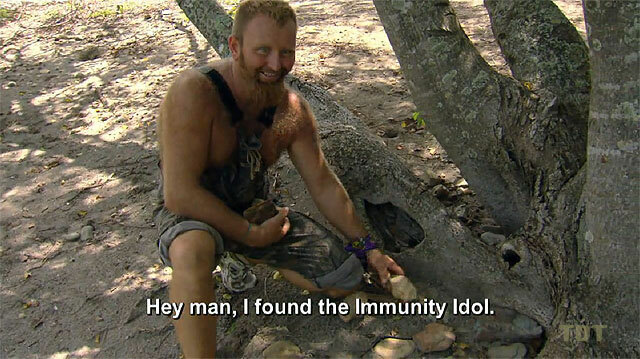 Ep.2: "You Own My Vote"
It turns out finding idols without clues is so easy, two people not even named Russell could do it. So much for his dreams. 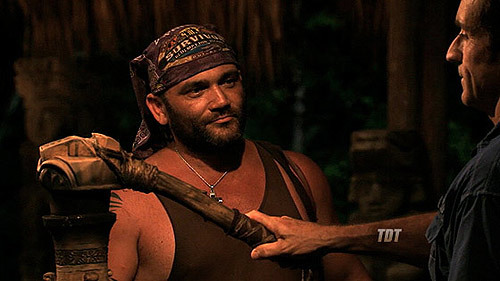 Ep.1: "You're Looking at the New Leader of Your Tribe"
In the season premiere, a new contestant out-Trolls Russell Hantz, and a returnee makes some big moves.